Jacqueline Marcus, president and owner of Jacqueline B. Marcus & Associates, which offers comprehensive food and nutrition services to academia, media outlets and marketing firms joins eHealth Radio and the Weight Management and Nutrition Channels. As a nationally-known registered dietician and author, what are some of the major reasons people succeed or fail in their attempts to lose weight and keep it off? What stands out to you about The Dukan Diet in comparison to other diet plans? Oat bran is a key component of The Dukan Diet. Why is oat bran so important? Most people tend to get off track while dieting— what can someone who is trying to lose weight do if they have a bad day to get back on track? What advice would you give to someone looking to achieve long-term weight loss success? 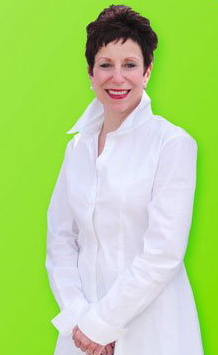 Jacqueline B. Marcus, MS, RD, LD, CNS, FADA is President/Owner of Jacqueline B. Marcus & Associates, a multi-service food and nutrition consulting firm in Highland Park, Illinois, USA. She holds a Bachelor of Science degree in Family, Consumer and Nutrition Sciences and a Master of Science degree in Food and Nutrition from Northern Illinois University. She consults to a variety of national and international organizations; lectures locally, nationally and internationally to professional and lay audiences; addresses national and local media; writes for scientific and lay publications; conducts classes for community, education, business and industrial groups; supplies expert testimony and chairs professional associations. As a frequent media spokesperson, Jacqueline has been featured on numerous top-tier Chicago media outlets and has represented a variety of products and organizations on media tours. She was a nutrition reporter for WBBM-TV during Taste of Chicago; a panelist in Nutrition and Fitness Throughout the Life Cycle, a national televised program by The American Dietetic Association and a featured expert in Long Walk to the Olympics, a PBS documentary about the United States Olympic Race Walking Team. Jacqueline recently completed Culinary Nutrition: The Science and Practice of Healthy Cooking, the first textbook, e-book and companion website that integrate nutrition, food science and the culinary arts with creative, didactic, hands-on approaches for teaching students with diverse capabilities.